Today the website of our campaign for the 2018 UN High-Level Meeting on NCDs – ENOUGH. goes live! Host an event and help lead the fight against NCDs. At enoughncds.com you will learn why it is unacceptable that 70% of all deaths worldwide result from NCDs, find background information about the HLM, discover NCDA’s campaign priorities for the meeting and find opportunities to get involved in the campaign to make the 2018 HLM truly successful and ensure improvement in the health of people everywhere. 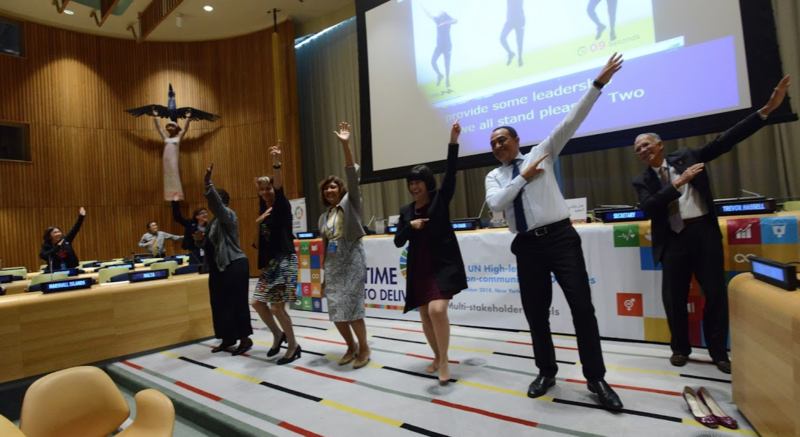 The site showcases messages from prominent activists and champions leading the global fight against NCDs, and provides updates about the latest HLM news and events from around the world. So that you don't miss anything, you can sign up to have updates delivered to your inbox. Another special feature of the campaign website is space to add your own voice to the campaign prompted by the question When it comes to NCDs, what have you had enough of? You are also invited to share those messages in social media and use them in your advocacy. There will be the option for everyone to pledge actions that they commit to take ahead of and beyond the HLM. Very soon, a global map of campaign news, activities, voices and commitments will go live - we encourage you to contribute to it to show how far reaching the campaign and need for action are! Please spend some time exploring enoughncds.com and subscribe to our campaign updates. We want the website to be as useful as possible for you, so we welcome your feedback to [email protected]. The HLM is less than six months away, and it's crucial that we spark collective action today if we want to ensure that this meeting marks a real turning point for effective global action on NCDs.